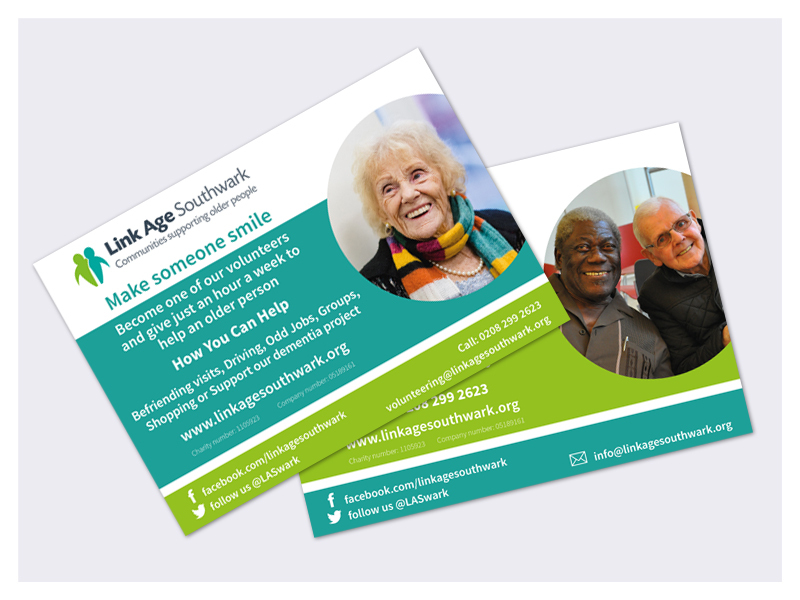 Link Age Southwark, is a local borough based charity. 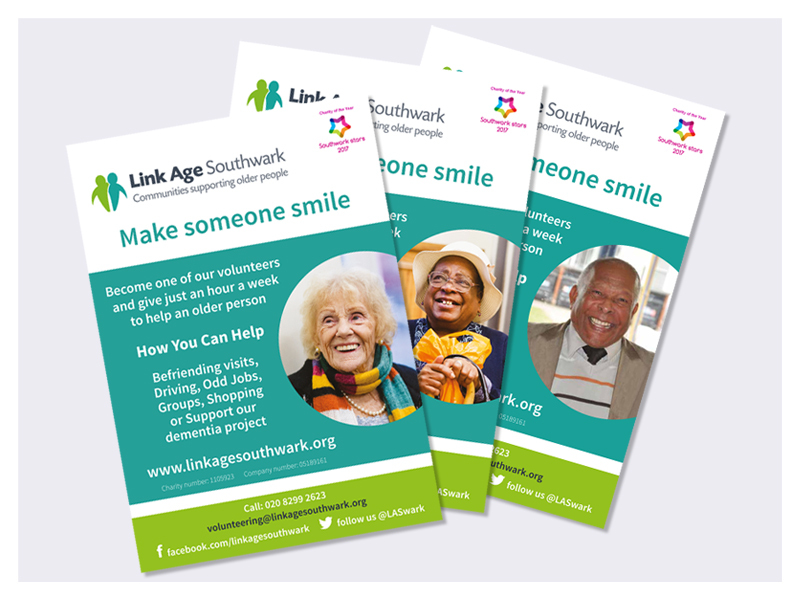 They improve the health and wellbeing of older people by alleviating loneliness and isolation, through the provision of social events and with the help of volunteer befrienders. 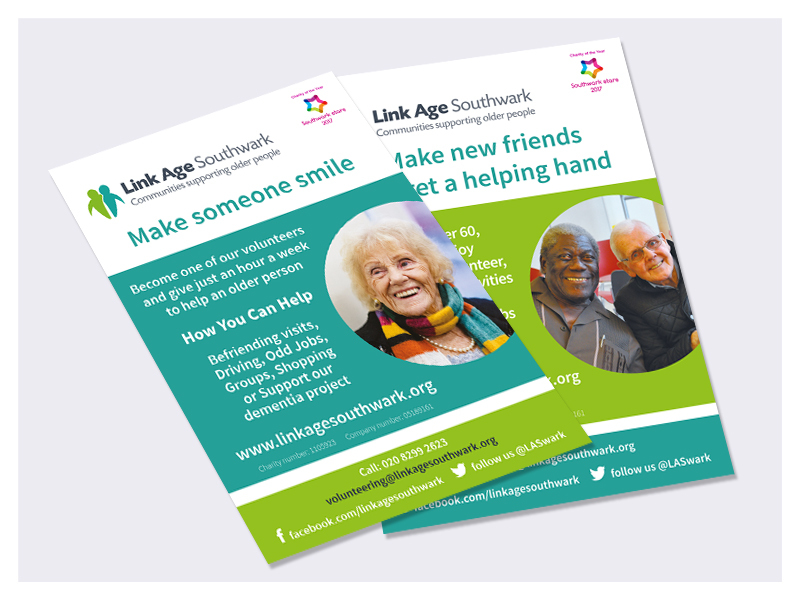 We were asked to create a new set of posters and leaflets to recruit service users and volunteers. 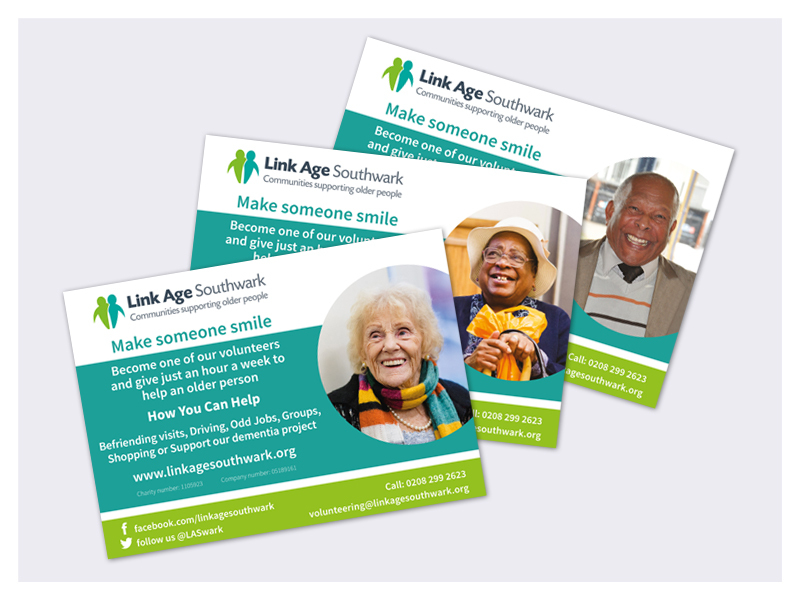 To address accessibility considerations we used larger photographic images, reduced text and increased font size to 14points. We wanted the posters to stand out in a crowded environment and for the target audience to find them be easy to read..